Most people think of a cup of coffee, a bowl of pho, or a soda—few would think to use this money to invest. In Vietnam and around the globe, the world of investing is often associated with real estate, large firms, and huge amounts of capital. 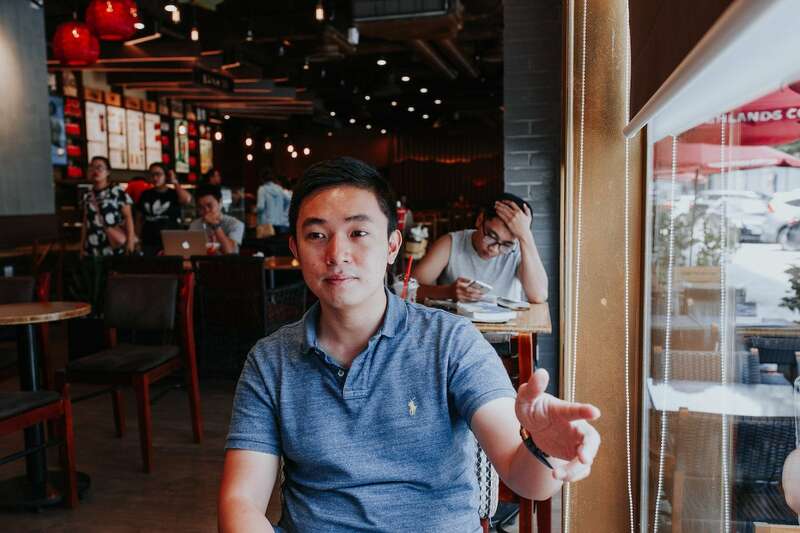 But Finhay CEO and founder Nghiem Xuan Huy thinks anyone can become an investor, including young people without lots of savings or investing experience. 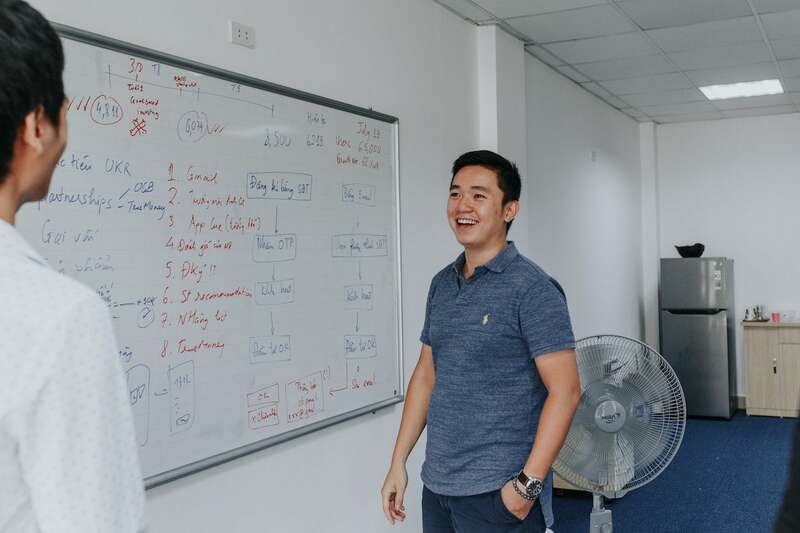 Finhay, Nghiem Xuan Huy’s brainchild, is a micro-investment platform that allows millennials to put small amounts of money toward mutual fund investments within Vietnam, starting from just VND 50,000, or slightly more than US $2. 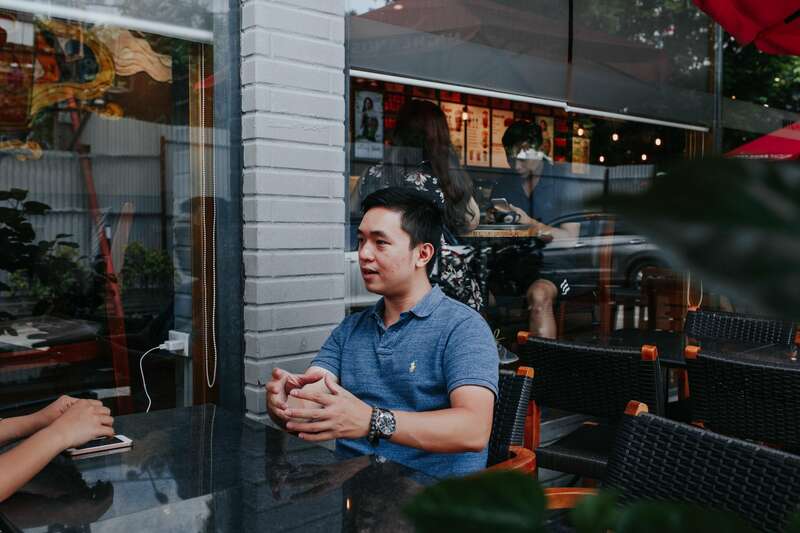 In keeping with the mission of this series to bring our readers access to the sharpest and most imaginative minds in Vietnam’s business world, Vietcetera sat down with Nghiem Xuan Huy to discuss his startup, Finhay, and the future of investing in Vietnam. Could you start by outlining Finhay’s micro-investment concept and some of its benefits? Young people rarely think about savings or investments during their twenties. But we all know they’ll need larger amounts of money later to secure stable financial futures. What makes Finhay unique is that we decided to ease young people into the world of finance by asking only that they invest small amounts of money if that is all they have. 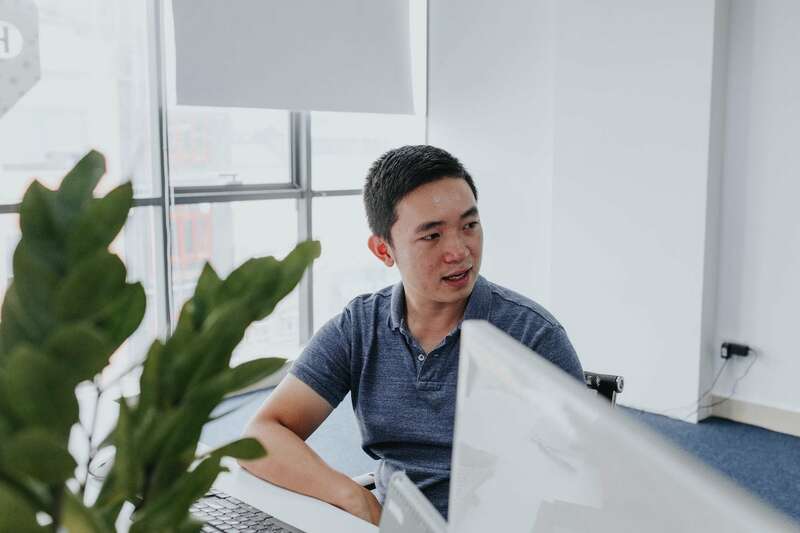 Users can still invest in a variety of funds, building diversified profiles and assessing risk percentages—all the important skills you must learn if you want to invest successfully. We teach them to put their eggs into different baskets without asking them to risk all of their eggs. Most users decide to invest small amounts at first, then learn by observation, trial, and error. They eventually can increase the amount of money they’re putting into investments when they’ve learned to manage their portfolios better. Our mission in creating this is to allow young people to experiment on their way to finding financial freedom in the long-term. Do investments on Finhay usually yield immediate results? 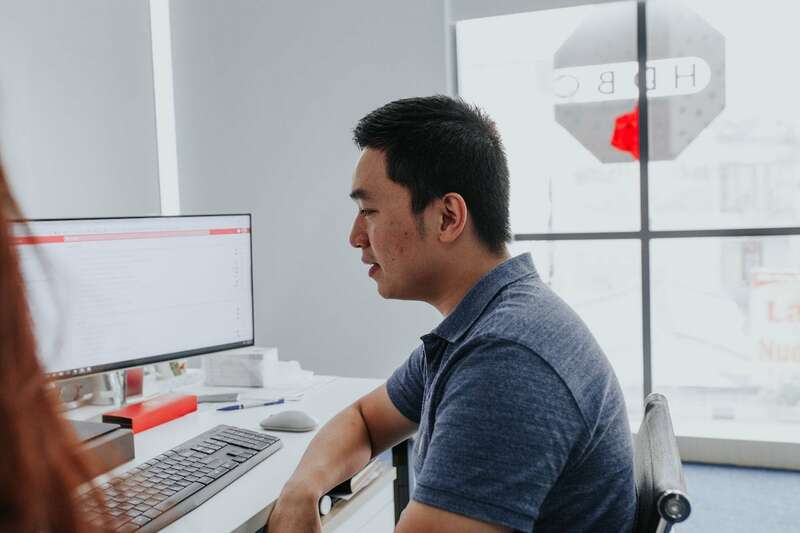 Vietnamese people tend to have two common investing habits. This is based on what I’ve seen over the years. They either put their money into banks or into ponzi schemes. I believe that putting your money into a bank is the worse option, since currency depreciates and you’re not getting anything by way of returns. If you deposit ten million VND today, five years from now, you’ll have the same amount. 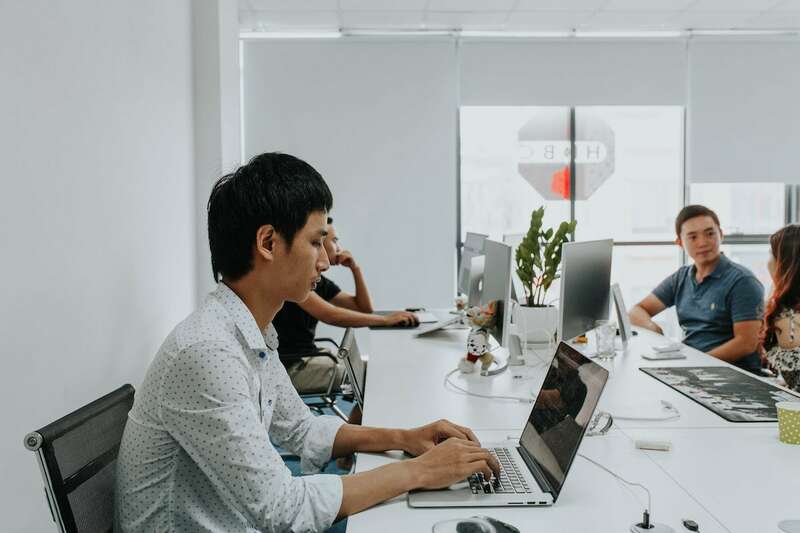 Other methods might be unpredictable, but in the long run, you’re likely to get better results than if you simply leave your money in a bank. Of course, I don’t need to explain why ponzi schemes are dangerous and misleading. That said, young people need to be careful in learning where they can invest money without risking everything. We have to change the common misperception that investments should yield immediate results. When we first launched Finhay, users were asking us why our rates of return might be lower than ponzi schemes in the short-term. We have to explain that every investment involves risk. After all, the more risky a portfolio is, the more likely you are to see wild fluctuations in value. But if you have your sights set on the long-term, you want to stick with more reliable methods and be willing to wait for results. There is no such thing as a surefire get-rich-quick method. If our product is good, the news will spread, whether this happens through tech forums, the startup community, or simple social groups. How have you gone about marketing this platform to users, whom you’ve said are more used to other methods of investment? We want people to hear about Finhay via word of mouth, from friends or family who have benefitted from our service. If our product is good, the news will spread, whether this happens through tech forums, the startup community, or simple social groups. Because we value user autonomy and decision-making skills, we want them to know that they should feel comfortable making their own financial decisions. Even if Finhay could provide them with an investment portfolio that fits them, they should feel confident enough to switch to another. Our goal is to create a community of educated, decisive investors. How do users start using Finhay? Are there any features that stand out in guiding new users as they navigate the investment platform? Once registered, new users complete a short survey which asks about their age, career, investment goals, etc., so that Finhay can provide a suggested investment portfolio and related risk assessment. We engineered our survey based on rigorous outside analysis and my experience working as a financial advisor in Australia. I also tried to add in local flavor by naming local phenomena in my explanations of investment concepts, like the Hoan Kiem turtle, the forest elephant, and our endangered “Asian unicorn”, the Sao La. Where does Finhay stand right now in terms of its user base and funding? We started with only fifty beta users, but after a year, Finhay has reached about 3,000 regular users. We currently have a capital commitment that totals at 3.7 billion VND. After receiving investment from Australia-based H2 Ventures, we’re poised to attract more users with the support of H2’s global ecosystem and their portfolio companies. Prior to our partnership with H2 Ventures, others had expressed interest in our product but didn’t align to our vision. More than capital, what I seek from investors are their networks, as well as their knowledge, support, and the potential for future collaboration when Finhay expands. H2 Ventures’ leadership includes experts from major funds in the Asia-Pacific. They have been instrumental in advising me on long-term strategies. It’s hard to put a price on good advice. Could you speak to the value of cryptocurrency as an investment tool? Have you integrated or thought about integrating cryptocurrency investments into your platform? It’s a trend, yes, but I’m not one to chase trends. Though I follow blockchain technology and have myself invested in cryptocurrency, I recognize that it’s very risky. Whoever has dealt in it can expect to wake up one day having lost everything. The market does show a demand for this kind of investment, but I want to make sure we’re not changing the platform to cater to temporary fads. It’s something we continue to think about nonetheless. What is Finhay’s mission as it continues to grow? Do you have any specific goals right now? Right now, our biggest commitment is to cultivate the values that will shine through in the long-term, like education, stability, and transparency. We want to foster trust between us and our users. To do that, we have to show that we remain committed to user experience regardless of the state of Vietnam’s market at any given time. We’re in it for the long haul. We hope that this will persuade strong partners to join us in our mission and help us expand the number of funds we have on offer. This is already happening, as we started a year ago with only five funds and today we have ten. I have high hopes for our future. 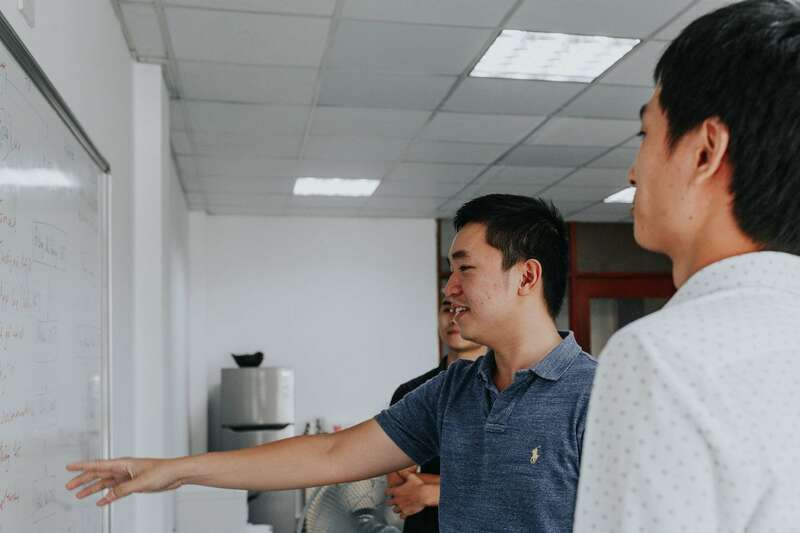 Our team is dedicated to teaching young people in Vietnam how to put extra funds to good use by giving them the knowledge necessary to make smart financial decisions. With this know-how and our technology, we hope we can lead more people toward financial freedom.